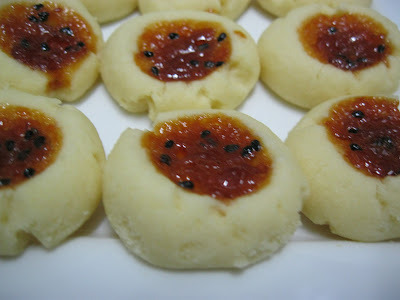 I get this recipe from Wendy blog.Her recipe is Apricot Sesame Cookies.But my home don't have sesame and apricot jam.So i didn't put sesame and apricot jam i replace dragon fruit jam.I make myself the dragon fruit jam.I over cook the jam.It can not eat with bread because it very hard like the pineapple jam we use to make pineapple tart.So i use it for making cookies. 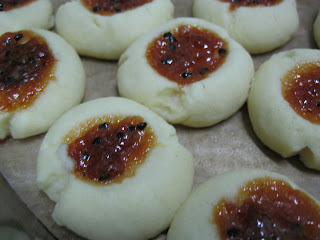 some jam-any jam also can.I using homemade dragon fruit jam. Beat butter and sugar until light and flutty. Sift flour and mix until incorporated. 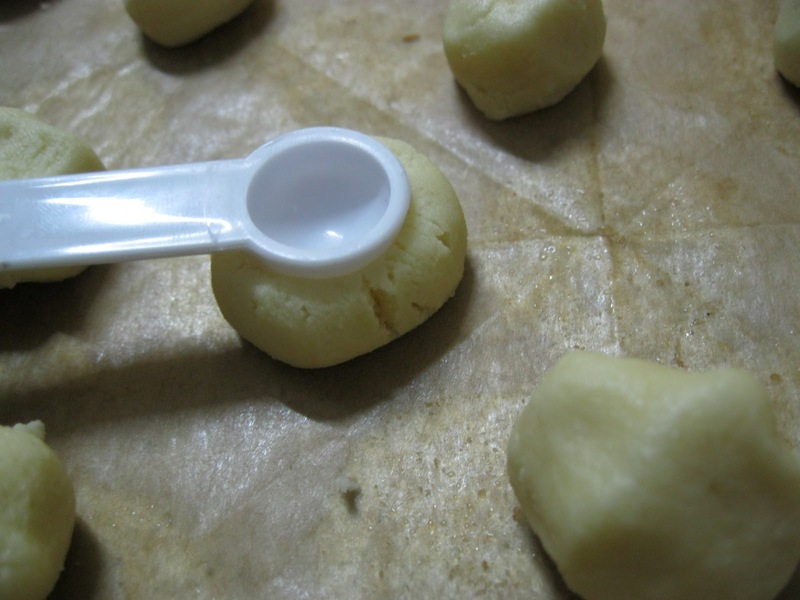 Use a spoon and make a hole on the cookies. 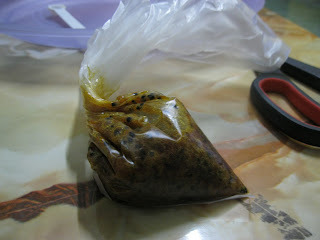 Put the jam inside a plastic bag. 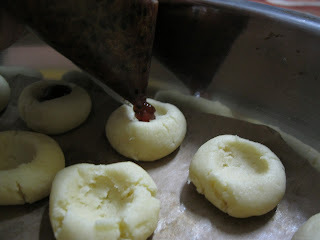 Fill in the jam on the cookies. 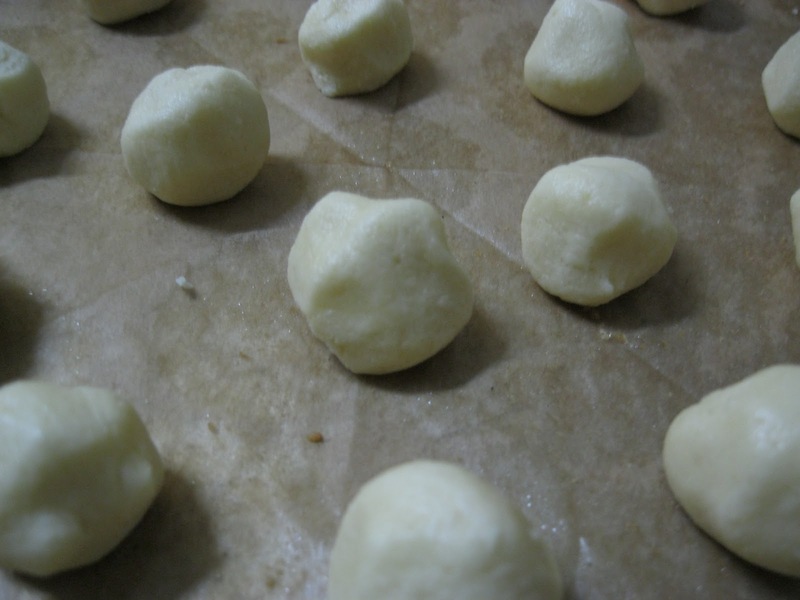 Bake in preheated oven for 15 min or until cooked. Cool it and keep in an air tight container.